Tasting Notes: A predominant sweetness of the orange and apple character balanced beautifully by the hibiscus and rose hip. 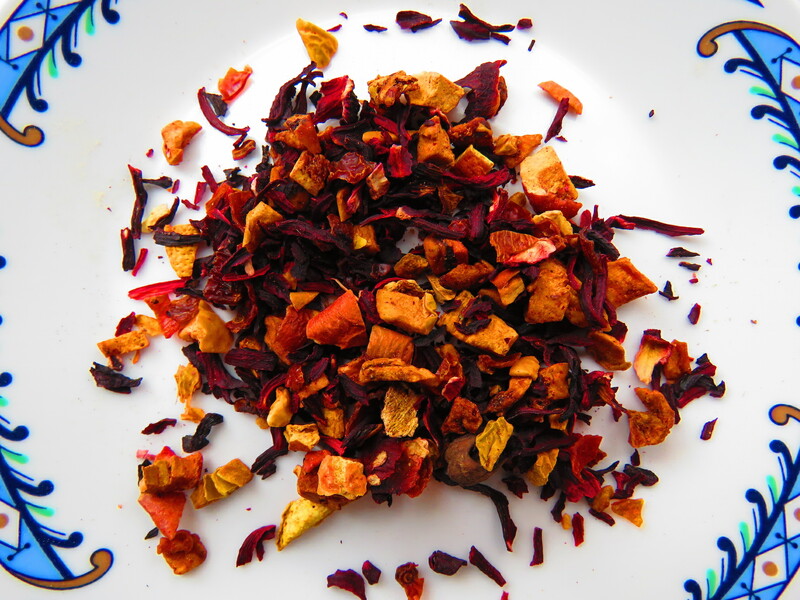 Ingredients: Luxury natural dried apple, natural dried orange, hibiscus, rosehips. Herb and fruit tea in some circles is considered a new type of tea. This tea was formulated to accommodate tastes of people who wanted to experience a refreshing healthy new style drink without caffeine. The result is a terrific ‘tea’ that is unbelievably delicious and can be enjoyed Hot or Cold! The delicious blend of apple, and orange flavours combined with the natural flavours and tartness of the various dried herbs create a wonderful summertime cooler or a wintertime summer reminder. For a summer time drink Apple Orange Orchard iced is hard to beat. It is refreshing and thirst quenching and not overly sweet. For formal times garnish the glass with a strawberry and a sprig of mint. If you have small children use the tea to make popsicles – they taste great and contain very little sugar.